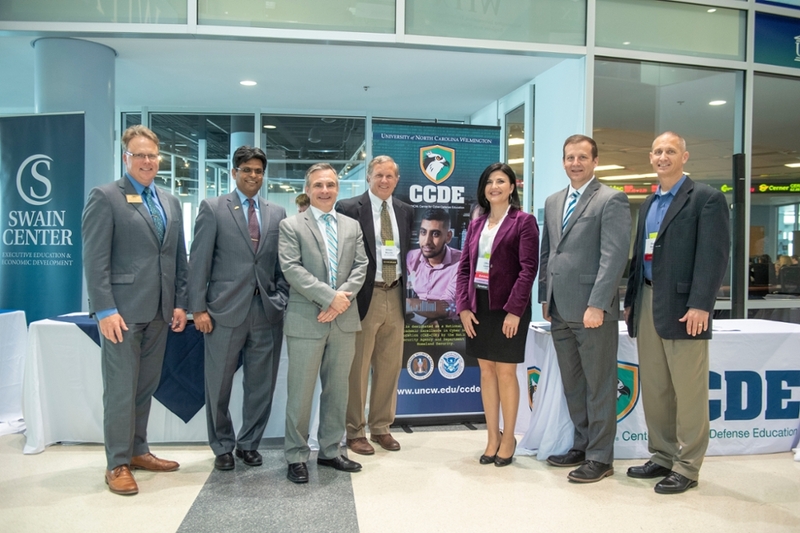 April 9: This year's Wilmington Information Technology eXchange (WITX) carried a theme of cybersecurity with keynote speakers from the FBI and U.S. Cyber Command and the opening ceremony of UNCW's Center for Cyber Defense Education. This year's event broke its own attendance record again with 574 attendees. Read more about this event via the two news stories linked below, and view the photos from the event here. 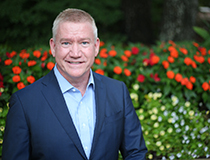 After a national search, Richard Walsh has been named director of the H. David and Diane Swain Center for Executive Education and Economic Development at UNCW, the university announced today. His appointment is effective April 15. "Rich comes to us with more than 20 years of industry experience in providing advanced expertise in leadership solutions, organizational transformation and executive coaching,” said Robert Burrus, dean of the Cameron School of Business. “His unique drive for all things related to leadership and professional development makes him a perfect fit for the Swain Center." The Swain Center offers executive and professional education programs in business while serving as a source of economic and business services for the state. As director, Walsh will manage the center’s overall strategy, growth opportunities and program resources. He will also oversee corporate and client relationships including marketing and sales. Walsh holds a bachelor's in human resource management from Northeastern University; an M.B.A. in international marketing from the University of Dayton; and a master's certificate in business and social ethics from Harvard University. He previously served as an executive at AT&T, IBM and GE, as well as an associate dean at the University of Dayton’s business school. Most recently, he served as a leadership solutions partner at the Center for Creative Leadership, a top-ranked, global provider of leadership development. Connecting UNCW's knowledge and resources with the public and private sector and to contribute to the economic growth of the region are strategic priorities for UNCW. These priorities are further outlined in UNCW's Strategic Plan. Mar. 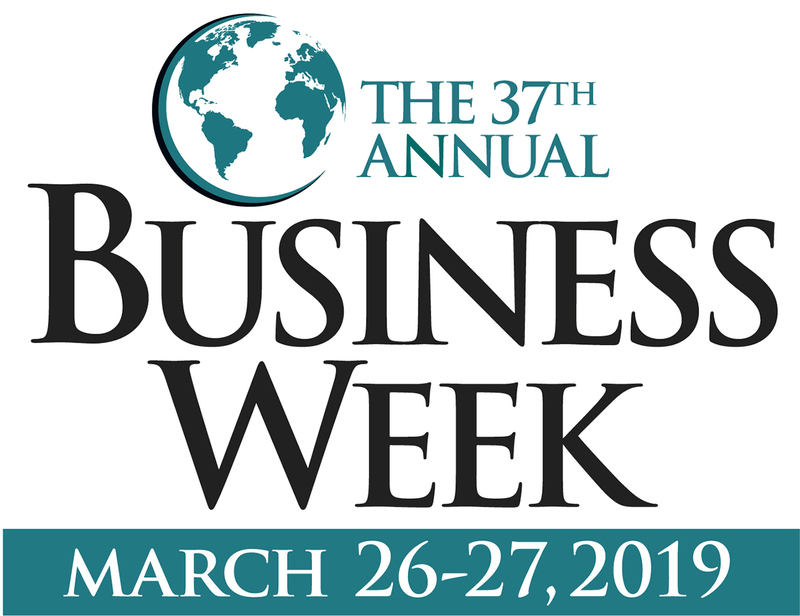 21: UNCW's Cameron School of Business will hold its 37th annual Business Week on March 26-27, 2019, continuing a unique event that began in 1982. Each year, this conference features keynote addresses by nationally and internationally known businessmen and women, as well as presentations given by representatives of the public and private business sectors. 2019 keynote speaker Chris Cox, president of Apiture, will speak on March 26, followed on March 27 by Derreck Kayongo, founder of the Global Soap Project. Other guest experts will present on a variety of topics throughout the event and provide CSB students with a better understanding of potential careers. "Our event is designed to showcase our business alumni, regional and national business leaders along with CEOs of major corporations, who will share stories of success in the world of dynamic business in an ever-changing economic landscape," Business Week Chair Drew Rosen said of the event. "The Cameron School of Business’s continued focus on providing cutting-edge programs, international involvement and applied learning has allowed us to create an amazing learning environment for our students." Typically, more than 150 speakers attend, giving students access to professional insights and the opportunity to ask questions and receive career advice. Nearly half of these speakers are Cameron alumni, allowing students the chance to see the real-life success of those who took similar paths. "This year, we will have the largest number of speakers and sessions to-date, and the variety of topics on which the presenters will talk range greatly," said Business Week coordinator Sara Kesler. "Business Week is exciting for our students, as classes are postponed on both days and they have the opportunity to attend sessions all day." Business Week sessions are held at every hour on the hour from 9 a.m. to 5 p.m. on the designated days, with the exception of lunch hour. Business Week is only open to CSB students. The full schedule of events can be found on the event's website. Mar. 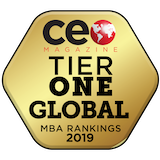 20: UNCW’s Cameron School of Business is listed in the top tier among "Global M.B.A. Programs" by CEO Magazine, while the online M.B.A. and Executive M.B.A. programs are each ranked in the top 25. The university is tied for 14th on the list of top online M.B.A. programs, and the Executive M.B.A. program is tied for 22nd. "In the Cameron School, our vision is focused on excellence in all of our programs as we prepare our students for success," said Rob Burrus, dean of the Cameron School of Business. "These recognitions are a testament to the hard work of many faculty and staff members and to the quality of students our M.B.A. programs attract." UNCW's Strategic Plan emphasizes academic excellence with a global outlook. CEO Magazine collected information from business schools in North America, South America, Europe, Asia, Australia and New Zealand. Programs were evaluated based on factors including quality of faculty, international diversity, class size, faculty-to-student ratio, cost, international exposure, work experience, professional development, gender parity and methods of delivery. UNCW's online M.B.A. program tied for 14th with Colorado Technical University. The Executive M.B.A. program tied with Texas Christian University, the University of Texas-Dallas and the University of Oklahoma. Mar. 13: The University of North Carolina Wilmington’s part-time M.B.A., along with four other of UNCW's master's level programs, has made the U.S. News & World Report list of "2020 Best Graduate Schools." "UNCW’s commitment to growth with quality is exemplified by our graduate programs, which aim to meet the needs of the current and future workforce in North Carolina and beyond," said Chancellor Jose V. Sartarelli. "With the recent elevation to the Carnegie classification 'Doctoral Universities: High Research Activity,' we fully expect to continue this trajectory of success." For this ranking, U.S. News considered graduate programs that are not conducted exclusively online. The nursing, education and part-time M.B.A. rankings were based on academic and institutional data submitted by the schools, as well as peer assessment. The public administration and social work programs were ranked based on peer assessment. Feb. 26: UNCW's Cyber Defense Team has been invited to the regional competition for the Southeast Collegiate Cyber Defense Competition once again this year. They participated in the SECCDQC Preliminary Qualification Feb. 23-24 and placed in the top 8 of 31 universities/colleges competing. The team heads to Kennesaw State University on April 3 to face teams from Clemson University, University of Central Florida and five other universities. Learn more about our Cyber Defense Team and the UNCW Center for Cyber Defense Education. An inaugural Internal Sales Contest, hosted by nCino, will be held on Friday, March 1st. This Role-Play Competition will have 21 of our best Marketing & Sales students take on the role of an nCino sales representative pitching a customized CRM/Bank Operating System (BOS) to a potential bank manager/buyer. The role of the bank buyer will be played by actual nCino sales reps or managers. Our students and nCino sales reps are looking forward to this challenging Role-Play scenario. On Wednesday, March 27th from 6 to 8pm, CSE&CD will host a forum on Sales Enablement Technologies (SET). The forum will be held in the CIS Building-RM 1008 on the UNCW campus. Senior sales VPs and managers using sales enablement systems/platforms, e.g. SAS, Syneos Health, nCino and others will discuss the value of SET to their organizations. 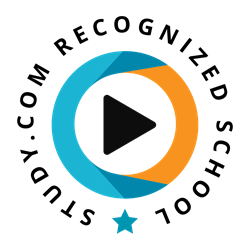 The forum will be moderated by a SET provider. CSE&CD welcomes all professional sales stakeholders to discuss these emerging trends. Read more about these two events here. Feb. 8: The Cameron School of Business is proud to announce their recent inclusion on Poets&Quants' 2018 Best Undergraduate Business School List. A record 88 schools were included in this year's ranking. All schools included on the ranking represent the very best accredited business schools in the U.S. Schools are invited to participate based on their performance in previous rankings. Inclusion on this list reinforces CSB's goal to be one of the top schools admitting and educating elite young talent. Per Poets&Quants site, "unlike many other rankings that try to measure the quality of education at universities around the country and world, Poets&Quants puts a laser-like focus on hard data reported by the B-schools and alumni. Each year, P&Q asks schools and alumni their graduates to complete extensive surveys that have been developed in collaboration with deans and administrators at leading business schools. The surveys are updated and improved based on feedback from school administrators in February and March. The admissions standards category is based on acceptance rates, average SAT scores, and the percentage of students finishing in the top 10% of their high school classes." Jan. 29: Cameron School of Business senior Agustin Savarino made waves this past December when he passed the CFA Level I exam. Agustin, an international student from Argentina, is earning concentrations in both finance and accounting. He also serves as captain of the UNCW men's tennis team. Agustin was awarded a CFA Scholarship by the Department of Economics and Finance which enabled him to register for the exam at a significantly reduced cost. He completed approximately 450 hours of self-study for the six-hour exam. He intends to continue taking the remaining two exams to earn the coveted Chartered Financial Analyst designation. It's worth noting that the pass rate of the CFA Level I exam is only around 35%. Congratulations on this significant achievement, Agustin! Jan. 28: Study.com has included UNCW on their list of the top 50 accounting programs in the country for 2019. In ranking these colleges and universities, they considered numerous factors, starting with publicly available data, such as tuition, student retention, and graduation rates, from the U.S. Department of Education. They also looked at unique features that make a program stand out, like acclaimed faculty, job placement, and internship opportunities. For more information on the ranking, visit study.com's list. Learn more about our undergraduate accounting concentration and our M.S. Accountancy degree on CSB's website. Jan. 25: The University of North Carolina Wilmington will offer free tax e-filing assistance to eligible taxpayers through the university's IRS Volunteer Income Tax Assistance Program (VITA). Taxpayers with an income of $66,000 or less are eligible for this assistance. All VITA volunteers are IRS-certified UNCW students majoring in accounting. This service is sponsored annually by the UNCW Department of Accountancy and Business Law and Beta Alpha Psi, an honorary organization for financial information students and professionals. UNCW's VITA program fulfills a present need in the community while offering students a chance to gain experience and a better understanding of current tax law. Jan. 15: The University of North Carolina Wilmington has been ranked 8th in the nation on the U.S. News & World Report list of "2019 Best Online Bachelor’s Programs," the university announced today. The national recognition comes on the heels of UNCW’s recent elevation to the designation of "Doctoral Universities: High Research Activity" institution in the newly released Carnegie Classification of Institutions of Higher Education. "This new ranking reflects UNCW’s continued commitment to providing an affordable, high-quality education, not only for traditional students but also working professionals, military-affiliated students and others who seek the convenience and accessibility of online degree programs," said Chancellor Jose V. Sartarelli. "UNCW continues to emphasize excellence in developing programs and modes of delivery to meet the diverse needs of our students." Keep reading the story here.